20 Different hacks, strategies, and methods you can use to improve sleep and alertness. 1. Get F.Lux for your computer. A location based program that'll dim your computer based on the time of day. You'll still be able to see everything clearly, just the color waves will change. Meaning in the mornings the color will look more like outdoor light, at night, it will look like indoor light. More blue waves in the morning (because they wake you up), more red waves (much less stimulating than blue waves and shouldn't interrupt sleep hormone production as much) at night. It's already shown positive results in helping people fall asleep naturally. There's an app version (Twilight for Droid) for your phone and tablets. You can of course control the settings or turn it off at any time. If you don't have sleep problems, this will help give you energy and alertness. You may need to reset your circadian rhythm. Try to keep a routine sleep schedule for a few weeks, don't cheat, even on weekends or days you can sleep in. Just because you CAN go to sleep later doesn't mean you HAVE to sleep later. 3. Learn to fall asleep on a dime. If you're sleeping problems are really bad, learn to sleep on a dime. Meaning if you feel sleepy, in a movie theater or watching TV, bus, subway, church, just go to sleep. I had insomnia for years and nothing has helped me more than learning to sleep on a dime. I let myself fall asleep whenever I felt sleepy (for safety reasons don't do this in your car, even if you pull over or park somewhere. You don't want to associate your car with sleep). My triggers - I figured out what stimulated sleep, which is different for each person. It may be random things, figure it out. Shampooing my head for a long time helped sleep, kids voices, being in a movie theatre, libraries, watching certain shows, etc. For others something non-stimulating put them to sleep, for me it was the opposite, things I really liked or found stimulating would put me to sleep (like UFC or watching old school WWF). Maybe for you it's a babbling creek, or the sound of the ocean, for me that makes me want to use the bathroom. It's different for different people. For some it's the sound of whispering, there's videos on youtube where you can just listen to people whisper about random tasks like folding laundry. Maybe you can't sleep unless the TV is on. Sleep spaces - When my insomnia was really bad in college I would go to random classes because I knew class would put me to sleep (don't judge), I would bring a hoodie and just sleep in the back. I associated my dorm room with insomnia (my dorm room being basically my house, it was also where all my stress lived and it was a confined space I was not used to); so I accidentally found a pattern, I could only fall asleep in places other than my dorm room. Like the communal living room at my dorm, the study room, the park, any place else. I would take yoga classes or meditation classes just to fall asleep at the end. It became a project, if I couldn't fall asleep in my dorm, I would learn to fall asleep everywhere else. Learning to fall asleep in the first place eventually helped me to be able to finally fall asleep in my dorm. I used to watch movies twice just to fall asleep in them. Nowadays if I want to fall asleep, Netflix - instant snoozer. Talking to certain people late at night, zzzzz. Of course you read this and you're thinking you can't do that, hey these are just my triggers, yours may be different. These are just examples. The point is find your triggers. It took me a few years to really develop this skill and I no longer need to practice it. But now I can fall asleep anywhere. Beating insomnia and learning to sleep on a dime are two different things. This is more like you can nap whenever, but it becomes important later on to prevent insomnia or at least get some much needed rest. Find your triggers and find your sleep spaces. I never found a book or someone talking about this skill but it's the most important sleep habit I have. Any light disrupts production of melatonin (the hormone that helps sleep), blue light waves like those in LED lights are the most stimulating. 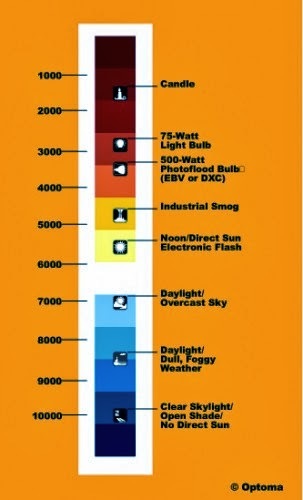 At night use a dim red light if you can or use a light with a dimmer. What I also use are blue light blocking glasses. They not only help with sleep but protect my eyes from macular degeneration. 5. Consider a melatonin supplement. This can not only aid in falling asleep but also help keep you asleep. But like anything else don't become dependent on anything you need to ingest to create sleep situations. Fish oils and Vitamin D may help as well. Remember not all brands are created equal, this stuff you do NOT want to buy at Costco, though I love Costco. 6. Stay hydrated but not too much. Keep a glass of water near your bed, but also use the bathroom one last time before going off to bed. Anything to keep you from getting up. Consider keeping a humidifier if you don't sleep well in dry air. 7. Avoid working in bed. Don't associate your bed, or bedroom with work anxiety. 8. Use the Wake Up Light as your alarm clock. Like the F.lux, just get it. You can also use it as a regular light, or a reading light. It can dim from an intense light that looks like the sun, to a soft light similar to a sunset, all the way to dusk. It's the best method I've found to reset your circadian rhythm other than an Energy Light. It also gently wakes you up, by slowly triggering your hormones (adrenocorticotropin from the pituitary gland and cortisol from the adrenal gland) that tells your brain to wake up. Instead of the opposite, a sudden loud noise that jars your brain awake along with your fight or flight instincts. It's like being woken up by a heart attack, and even then you still may not be alert. You're conscious but may not actually be awake. Because your not. That's not how we're supposed to wake up routinely, that's how we're supposed to wake up for emergencies. It's also taxing to your adrenals and cortisol. Something that's causing a lot of people health problems lately (high cortisol and adrenal fatigue). Alarm clocks are just bad for your health, the last thing you need is a sudden rush during the times you're most likely to have a heart attack. If you sleep well, this will help to charge up and vitalize your mornings. 9. Keep a sleep journal. Write down dreams you have, things that are keeping you up, things on your mind, things you've accomplished. It'll do a few things, help you stop fixating, and also if you can remember things you were thinking about, or parts of your dreams, you can also help to recreate the instances that create for a better night's sleep. Even being able to affect your dreams the way you want: lucid dreaming. Another key part of sleep is to help you retain and remember things, if you write down all the things you want to remember, it'll help put your mind at ease so it's not anxious about it's job and let sleep happen naturally. We don't feel the need to think so much if we write it down. 10. There is no rule about sleeping all the way through the night. Don't freak out if you wake up. 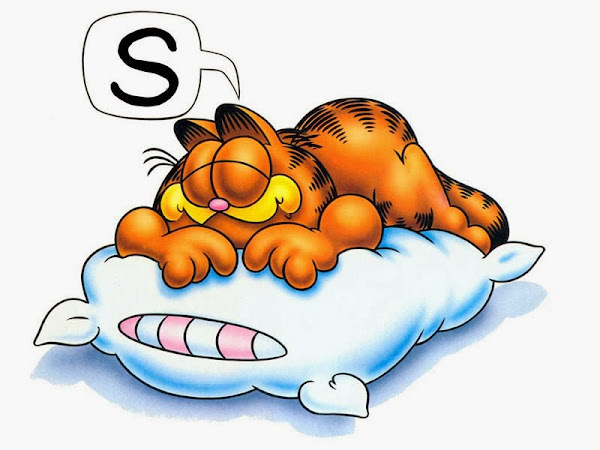 Throughout history, humans slept in two installments called first sleep and second sleep. It was only after the industrial revolution and light bulbs did we try to sleep 8 hours straight. If you wake up, don't panic. Chill, read, drink water, use the bathroom, meditate, kiss your spouse, and see if you naturally fall back asleep again. Our cortisol won't really start trying to wake us up until after 7 or 8. Actually not panicking in general is probably a good idea most of the time. 11. Avoid coffee or any caffeine after 12PM. This is past the point of no return. You may still have residual caffeine in your system by the time you try to fall asleep. Use other methods to try to keep yourself awake at work, like increasing stamina, avoiding sugar, eating more fats, walking during lunch, not eating so much and giving yourself food coma, or just get a proper night's sleep in the first place so you don't get plagued by the vicious cycle of sleeplessness. Also avoid putting sugar in your coffee as that will spike your blood sugar, which will cause a crash later on, which will set you up for wanting more coffee to stay awake, which will leave you tired but not sleepy. You can also get yourself to a point that you're so exhausted and tired, it will prompt your body to release health-crushing stress hormones. Then you'll have the worst of all worlds. Extremely tired and extremely awake. I like to add butter and MCT oil to my coffee. Improving the quality and productivity of my mornings. 12. Shoot for at least 7 hours of sleep. Sometimes 8 hours is too demanding but 7 is do-able. You can still be effective on 7 hours. For me I do better on a 4 hour burst of sleep, then a break to be quiet and unwind, then a 3 hour burst of sleep. 13. Is dinner or unwinding that important? Most of us, our problem isn't about being under-fed; it's about being under-slept. If you have a choice, to get more sleep, or stay up so you can go to bed on a full stomach, pick going to bed. It's hard to sleep on a full stomach and can cause indigestion and acid reflux. You're not going to give yourself an eating disorder by not eating at 11PM so you can get a little more sleep. So don't worry. Other thing is, some people feel like they are automatons if they don't get to unwind a bit after work. So you get home late, but you don't want to go to sleep yet. You need "me" time, for your sanity's sake. Where you're conscious but not living your life around work or for someone else. If you feel like this at all, your current work situation may not be sustainable in the first place. If you consistently get home that late, and that 1 to 2 hours between work and sleep is that precious to you, work may be demanding too much of your soul. Maybe it's not work, maybe it's another person, and you need that breather from them. If that small gap makes that much of a difference, then there's bigger problems to consider and a bigger reason why you might not be falling asleep. Also consider putting that unwind time between your sleep. For me, I naturally wake up in the middle of sleep. Instead of fighting it, I get up. That thirty minutes to an hour is my unwind time, the world is asleep, it's just silence. 14. Avoid alcohol and smoking. Alcohol can help you initially fall asleep (though with these hacks and tips hopefully you can fall asleep on your own) but alcohol also makes you wake up more often during sleep. If not just limit consumption. If you consistently need alcohol to unwind, where it's not a treat but mandatory for survival, then again, there may be bigger issues. Insomnia may just be alerting you, that you have bigger issues you're not dealing with. Often times sleeping pills have a similar effect, they help to get someone to fall asleep but doesn't prevent them from constantly slipping out of deeper REM sleep throughout the night. In fact it may create more instances where we fall out of REM sleep and prevent mechanisms in our brain that used to be able to trigger sleep naturally. In essence we become dependent on it for sleep. Smoking on the other hand stimulates your brain, makes it harder to fall asleep. Want to stay up all night? Coffee and cigarettes. More you smoke, less you sleep. Which makes you feel more stressed, which makes you want cigarettes more. Most unhealthy things are part of a vicious cycle. 15. Night time reading helps. Dreamland: Adventures in the Strange Science of Sleep, a book about sleep works as a great night time reading material. Usually try to read books that are light, and nothing you have to think too much about. So why not read a book about sleep? It's pretty interesting and funny, and I fell asleep reading it. Falling asleep while doing something sounds like a waste of time right? Unless you have a problem falling asleep, then it's a great use of your time. Another trick I use is to foam roll and stretch 2-3 hours before bed. I recommend using The Grid, The Rumble Roller, or The Massage Roller (especially while travelling). Helps hydrate the body, get blood circulating, and cause muscles to relax. With clients, every time they foam roll, they mention how they just want to lie down and fall asleep. Works every time. Exercise can be effective to help sleep, but only in the morning. Exercising at night may cause sleeplessness for some. You can also do it in the mornings to move better throughout the day or prevent things like back pain. 17. Brush your teeth right after your last bite of food. Anything to prevent interruption of feeling sleepy and being in bed. So get it out of the way. This can also make snacking less likely. As much as people love to snack, they love convenience more. Brushing your teeth all over again is not convenient. The Fitbit is a great tool to track sleep and lets you know what your sleep rhythms are like. The value doesn't come from tracking sleep, it's in looking for patterns. Do you always sleep poorly on Wednesdays? Nights you drink? See a certain person? During allergy season? Low humidity? Find out the triggers of good sleep and bad sleep and try to alter it to your best interest. Maybe talking to your mother at night makes you sleep poorly. There are also similar apps that you can use to track sleep on your phone, but you have to put the phone under your pillow (don't know if you really want to do that) and also if there's someone else in bed with you, it also doesn't work well. Look at your day, recount all the ways you might be screwing yourself over for sleep, and change something. Take the mystery out of poor sleep. It also works as a way to compete against yourself, trying to move more and more each day. 19. Don't put sleep on a mental pedestal. If I can't sleep at all no matter what, instead of fighting it I get up and get work done and I truly try to be grateful for being hyper alert. I can be productive with it. Just happened to be a random time but I'll take it. This helps to remove sleeplessness from a mental pedestal. I had a bout with sleeplessness when I returned from Asia. During that time, I don't know how many books I read and articles I wrote. I even finally caught up on shows I heard about like House of Cards! 20. Proper bed height and pillows. Maybe you sleep better on a low flat pillow. If you have digestive problems, acid reflux, breathing problems, sleeping with your torso elevated may help. Maybe your feet need to be elevated, or you sleep on your side and would do well with a body pillow. Figure out what kind of sleeper you are and get the proper aid. Things that are supposed to help me fall asleep that actually kept me awake. Progressive muscle relaxation - It's where you flex and relax. It just woke me up. Listening to sleep hypnosis - It would trigger anxiety for me. Though listening to sports performance audios where they talk about preparation and being in the arena and visualization put me to sleep. Warm tea - Just made me use the bathroom a lot. Valerian root - Herbal supplement. A gentle sleep aid. So gentle I didn't feel anything. Exercising before sleep - Instead of tiring me out and making me want to sleep, it kept me wired all night. Vacations - Whenever I come back from overseas, especially when I cross different time zones, I have a very hard time adjusting. Coming back from Asia is the hardest transition for most. Also of course consult a physician or a sleep expert if things get worse and you can't deal with it on our own. Consider even getting a therapist. Hey no stigma.